Rebecca “Becky” Jarrard Phillips, age 73 of Toccoa, passed away on Saturday, November 24, 2018. Born on December 10, 1944, in Savannah, Georgia, she was a daughter of the late Rev. Lloyd and Alice Harris Jarrard. 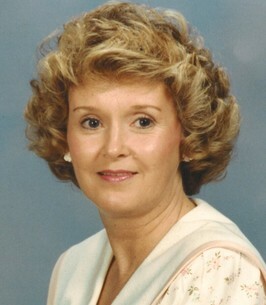 Mrs. Phillips was a 1963 graduate of North Habersham High School and was later a graduate of North Georgia Technical College with a degree in Cosmetology. She was a faithful pastor’s wife for 36 years and also co-owned Ken Phillips Tours with her husband for 28 years. Mrs. Phillips was a member of Ebenezer Baptist Church in Toccoa. In addition to her parents, Mrs. Phillips was also preceded in death by a brother, Phillip Jarrard and a sister, JoAnn Bowen. Surviving are her husband, whom she married on June 30, 1963, Rev. Ken Phillips of Toccoa; sons and daughter-in-law, Tony Phillips of Clarkesville, Jeff Phillips of Commerce and Randy (Mercy) Phillips of Dillard; grandchildren and spouse, Samantha (Clay) Cox of Gainesville and Misty Phillips of Mableton; brother and sister-in-law, Bill and Frances Jarrard of Clarkesville; sister and brother-in-law, Teresa and DeWitt Todd of Mt. Airy; numerous other relatives and friends. Funeral services are 2 pm on Tuesday, November 27, 2018 at Hazel Creek Baptist Church with Rev. Billy Burrell and Rev. Kenneth McEntire officiating. Interment will follow in the church cemetery. The family will receive friends from 6-8 pm on Monday at the funeral home. To plant a tree in memory of Rebecca "Becky" Jarrard Phillips, please visit our Heartfelt Sympathies Store. We encourage you to share any memorable photos or stories about Rebecca "Becky" Jarrard. All tributes placed on and purchased through this memorial website will remain on in perpetuity for future generations. To the Ken Phillips Family members; You are in our thoughts and prayers at this time. Harold, Matt, Ma, and I enjoyed the tour trips we went on with ya'll, especially to the Vietnam Wall. Just think what splendor Becky is seeing now. Nothing on earth compares with what she is now enjoying. Ken, I am very sorry to hear about Becky. My Dad and Sonia have always talked about the good times with you both. My thoughts and prays are with you and the family. Ken we were sad to hear of Becky's passing. She was so pretty and sweet, a joy to be around. We enjoyed traveling with you both and will never forget our Yellowstone trip. You and your family will be in our prayers. We know you have peace that you will see each other in the Sweet By and By. God bless! My beautiful Aunt Becky.I will always remember your soft,lovely voice. Hug Mama for me. May God bless and comfort the family during this difficult time. May God give each one of Becky's Family His Grace Comfort and strength.